There are plenty of options for watching the royal wedding live on Saturday, from the comfort of your couch. Coverage starts at 1 a.m., hours before the actual ceremony. Will Markel have to rein in her activism? All four hours of “Today” are devoted to the wedding, beginning at 1:30 a.m. Pacific time with Savannah Guthrie and Hoda Kotb reporting live from “an exclusive vantage point overlooking Windsor Castle.” Megyn Kelly, Al Roker and Kathie Lee Gifford, as well as various correspondents, will also be on hand. Live coverage starts at 3 a.m. Pacific time, co-anchored by Shepard Smith and Sandra Smith from outside St George’s Chapel at Windsor Castle. Ainsley Earhardt will also take part, co-hosting “FOX & Friends Weekend” live beginning at 2 a.m. Pacific time and then joining coverage of the main event at 3 a.m. Pacific time. Anderson Cooper, Alisyn Camerota and Don Lemon will anchor coverage starting at 1 a.m. Pacific time, along with royal correspondent Max Foster, CNNI anchor Richard Quest, senior international correspondent Clarissa Ward and fashion expert Joe Zee. CNN will replay the nuptials at 5 p.m. Pacific time on Saturday and HLN will re-air at 12 p.m. Pacific time. A five-hour live edition of “Good Morning America” from Windsor Castle starts at 2 a.m. Pacific time, hosted by “GMA” co-anchor Robin Roberts and “World News Tonight” anchor David Muir, along with a team of reporters and royal experts. It will also stream on ABCNews.com and GoodMorningAmerica.com. Beginning at 1 a.m. Pacific time, the network is airing a live and direct simulcast of BBC One’s coverage with limited commercial breaks. 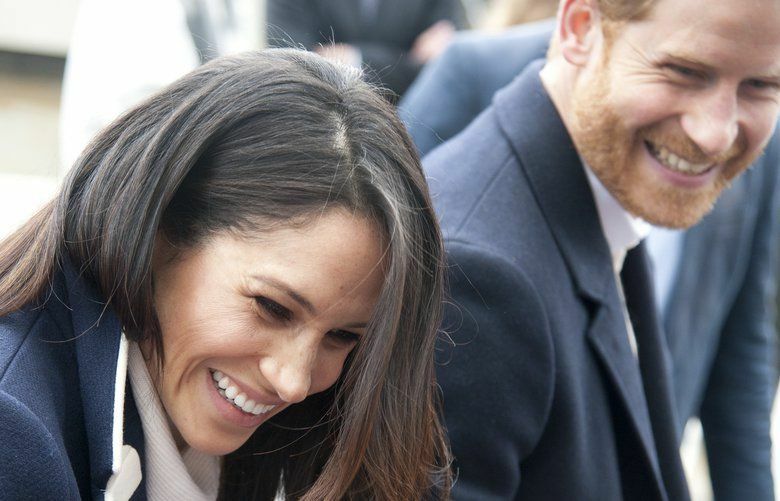 BBC America will also air wedding highlights throughout the day and an encore presentation of the wedding at 7 p.m. Pacific time. PBS will also be showing the wedding live at 1 a.m. Pacific time. The coverage will include BBC presenters Kirsty Young, Huw Edwards, Dermot O’Leary, Tina Daheley, Alex Jones, Ore Oduba and Anita Rani. 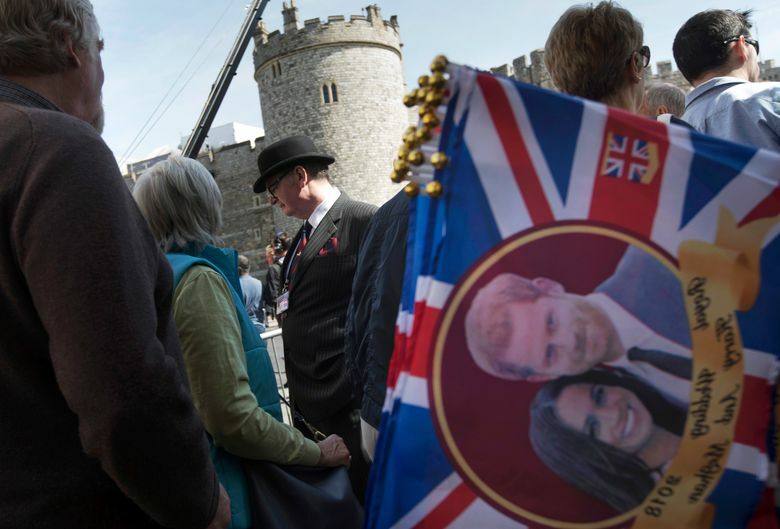 Five-hour live coverage from Windsor Castle starts at 2 a.m. Pacific time, with commentary from Giuliana Rancic, fashion stylist Brad Goreski and royal expert Melanie Bromley. The network will air “E! Royal Wedding Rundown,” an hour-long recap special, at 4 p.m. Pacific time. “CBS This Morning” co-host Gayle King and “Entertainment Tonight” co-host Kevin Frazier will anchor coverage from Windsor Castle, starting at 1 a.m. Pacific time. The coverage will be televised and streamed live on CBSN. Joy Reid will anchor coverage of the royal wedding on MSNBC from New York starting at 1 a.m. Pacific time, while Stephanie Ruhle and Katy Tur will report live from Windsor. Will Ferrell and Molly Shannon will cover the wedding as their fictional TV anchor personas, Cord and Tish, for a TV-14, two-hour live special on HBO starting at 4:30 a.m. Pacific time. Tim Meadows and other special guests are expected and there will be prime-time replays later that day. The subscription streaming video service from BBC Studios and ITV will offer a live stream of ITV’s broadcast, which will be anchored by Phillip Schofield and Julie Etchingham. The live stream will begin at 10:30 a.m. British time and will also have time-shifted streams for Pacific time viewers. In addition to live rolling coverage, there will a special hour-long highlights show after the wedding. Starting at 1 a.m. EDT, journalist Maria Celeste Arraras will lead the Spanish-language coverage of Telemundo, produced in collaboration with NBC and featuring conversations with experts and correspondents in Windsor, London and Rosarito, the Mexican town where the father of the future princess lives.